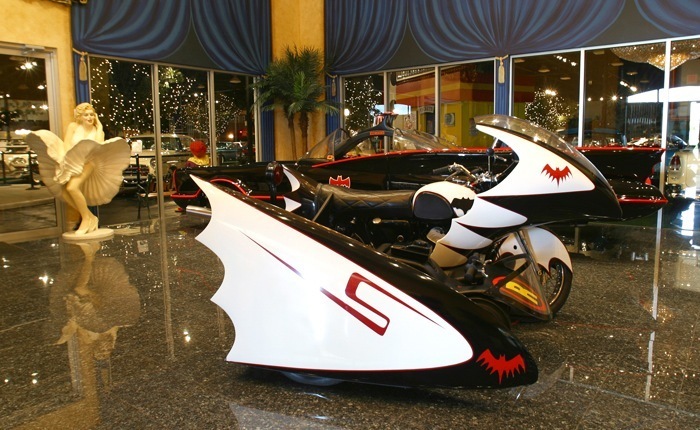 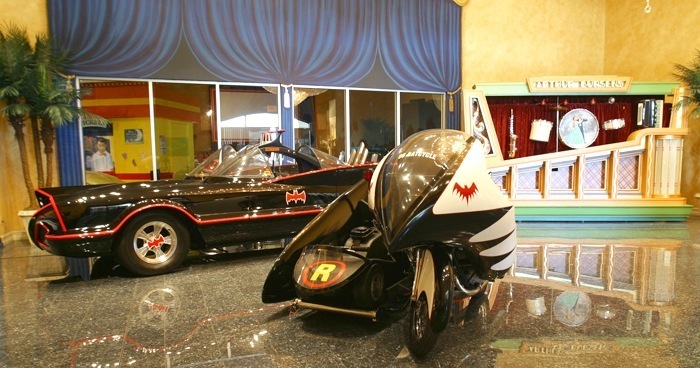 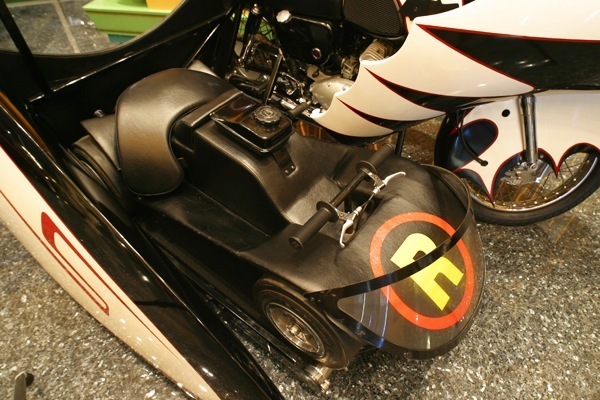 The Batcycle is the fictional personal motorcycle of comic book superhero Batman. 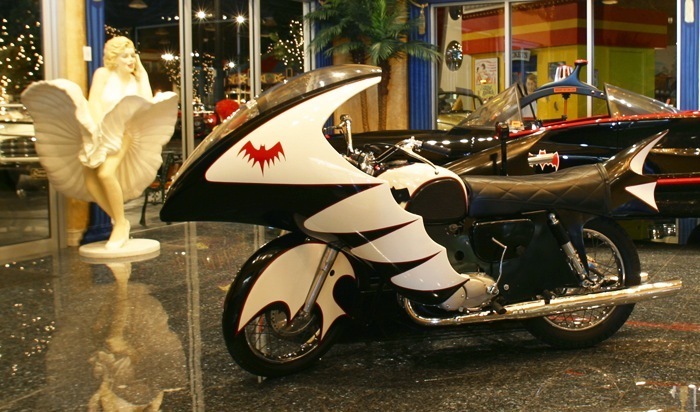 In the comic book universe, Batman’s personal Batcycle is a modified street-bike with a 786 cc liquid-cooled V-4 engine. 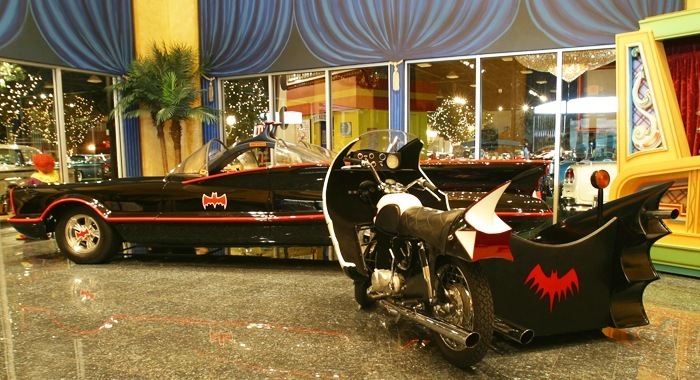 It contains a computer-controlled carburetor and bulletproof wind-guard. 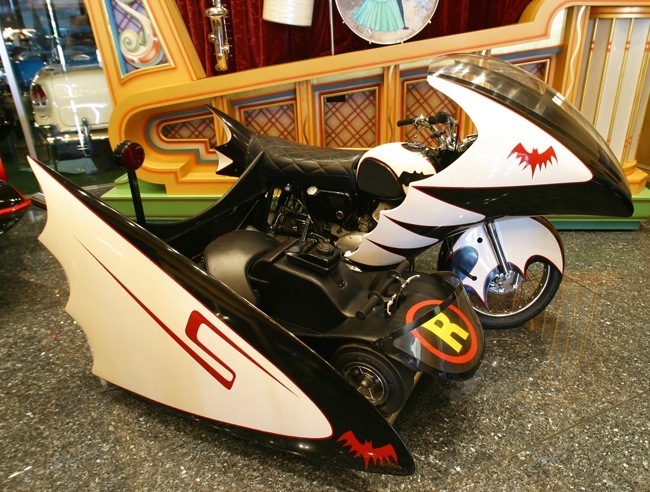 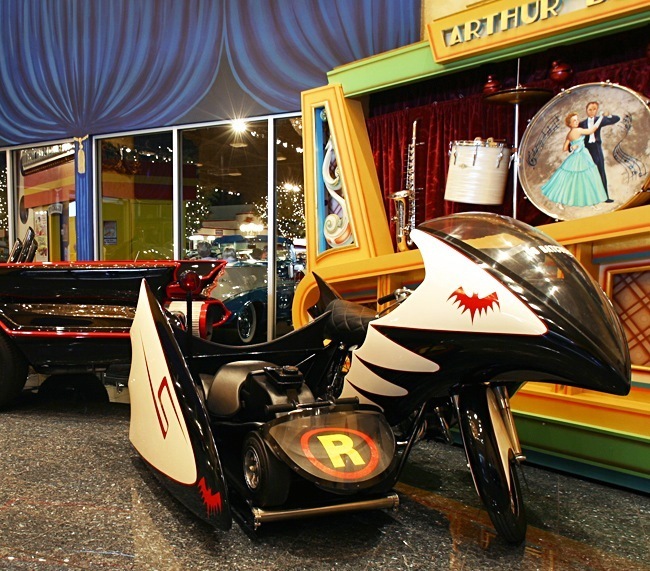 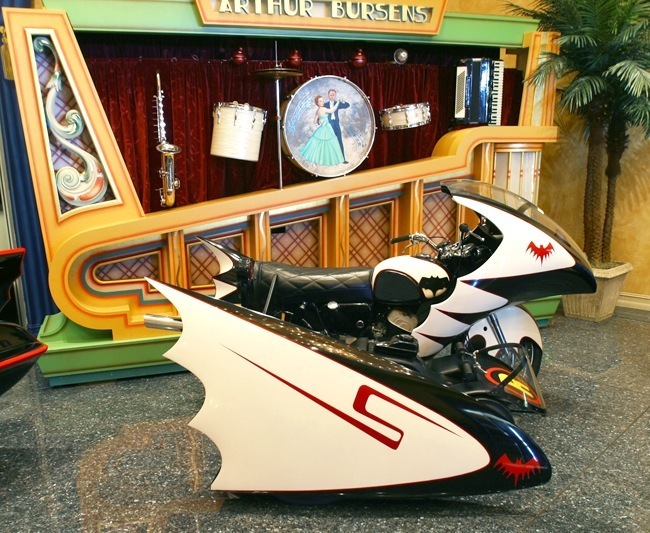 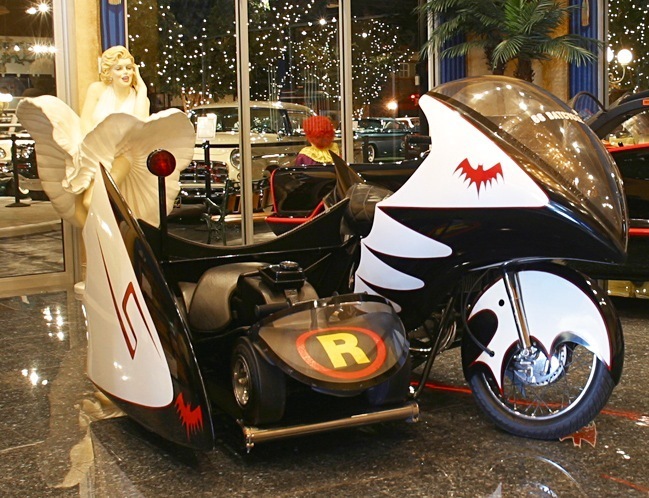 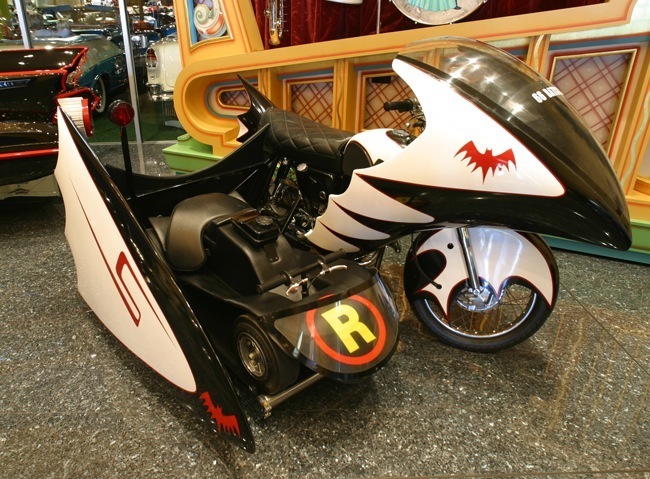 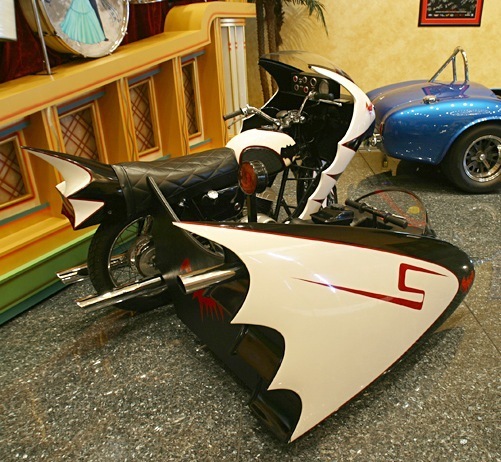 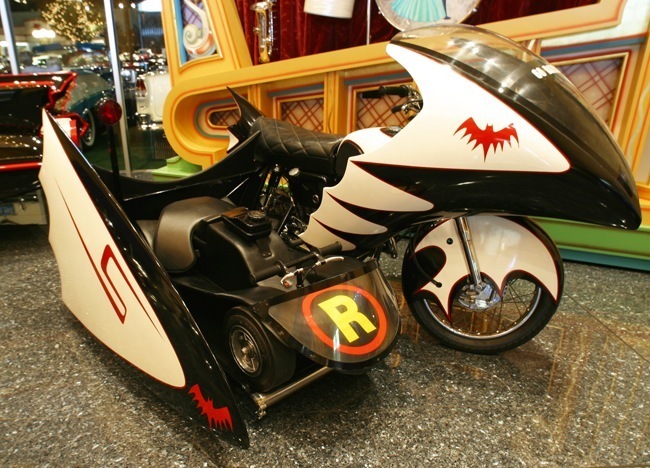 The Batcycle made its first appearance in 1966 in the Batman TV series. 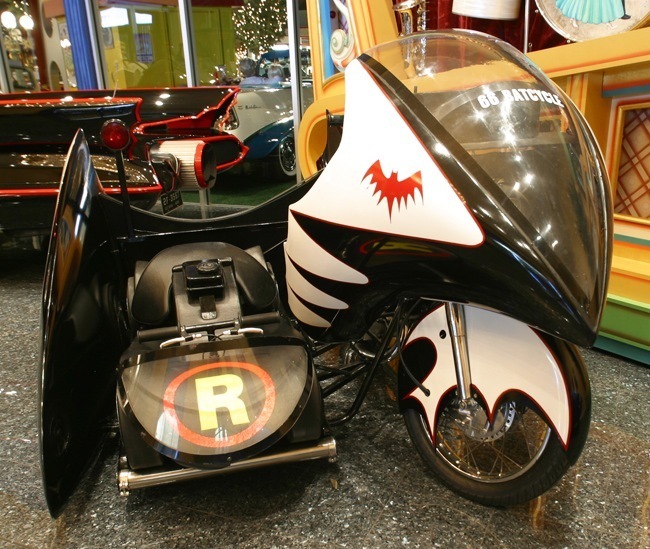 It was a 1965 Harley Davidson with a side car, but it was taken on lease and was only used for the first season episode “Not Yet, He Ain’t”. 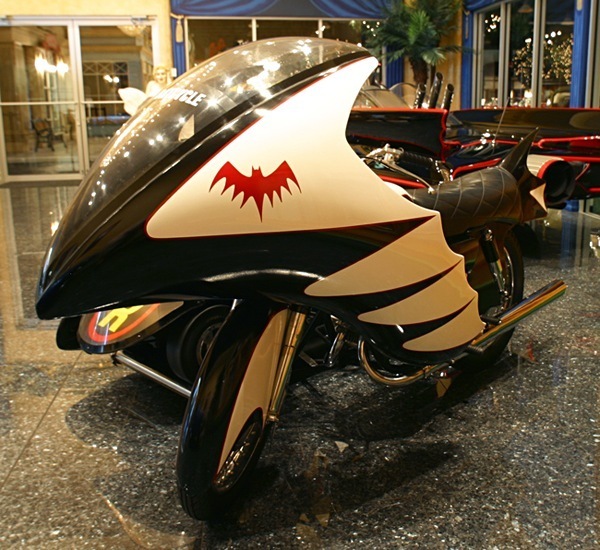 Later that year, a new Batcycle was introduced. 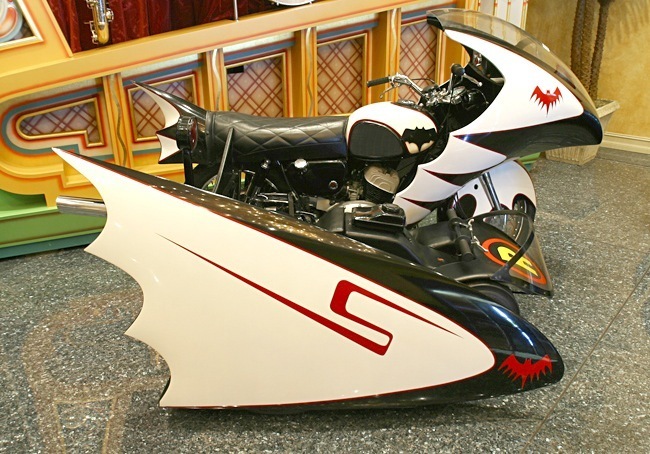 It was produced by Kustomotive, conceived by Dan Dempski, designed by Tom Daniel, and built by Dan and Korky Korkes using a Yamaha Catalina 250. 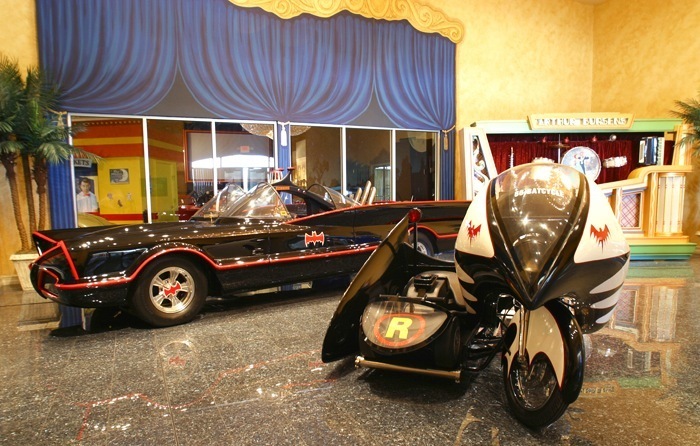 It was leased to 20th Century Fox starting on April 18, 1966 for $50 a week with an additional $350 up front. 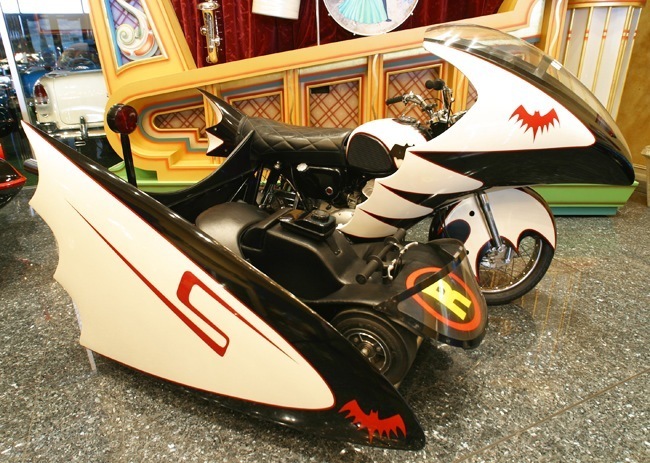 The new Batcycle was first used in the 1966 film Batman and continued to appear in the rest of the TV series. 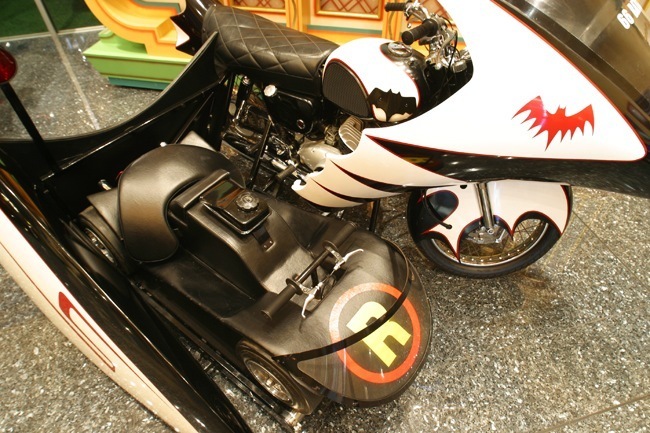 Hubie Kerns and Victor Paul did most of the stunt work with the motorcycle throughout the series. 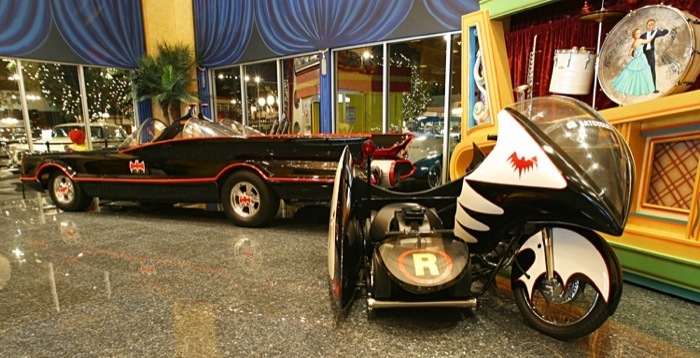 The total amount paid to Kustomotive was $2,500. 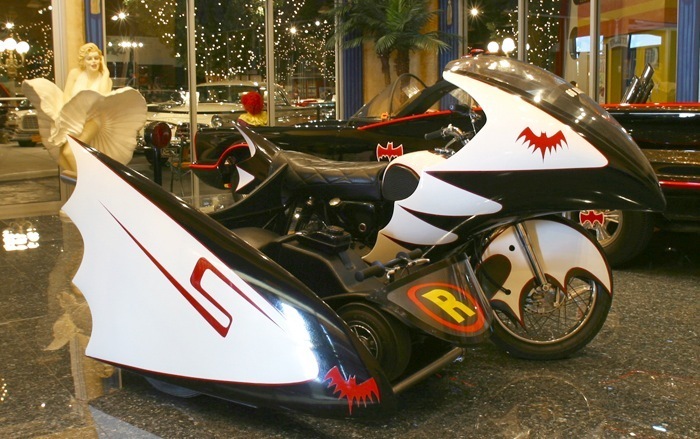 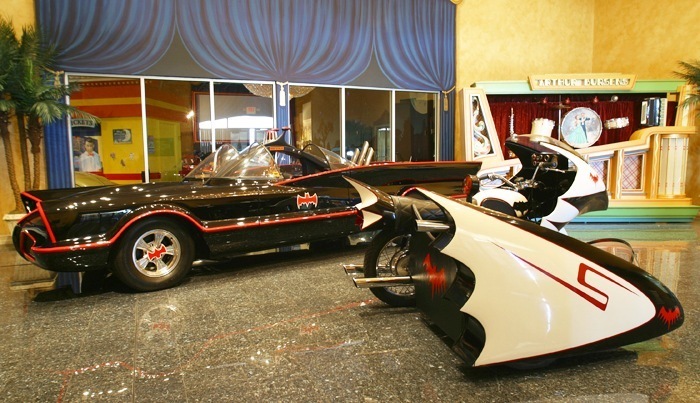 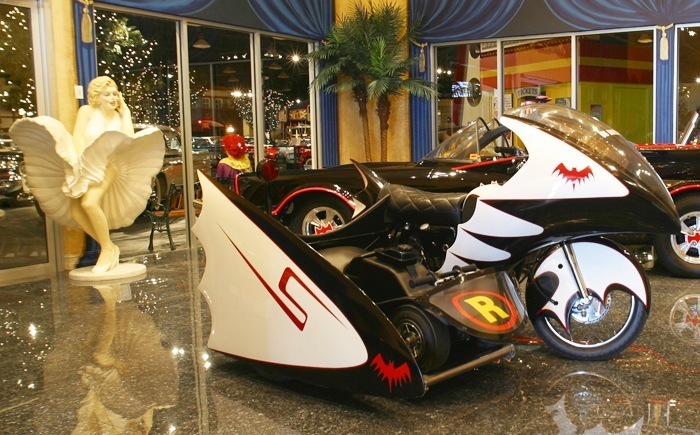 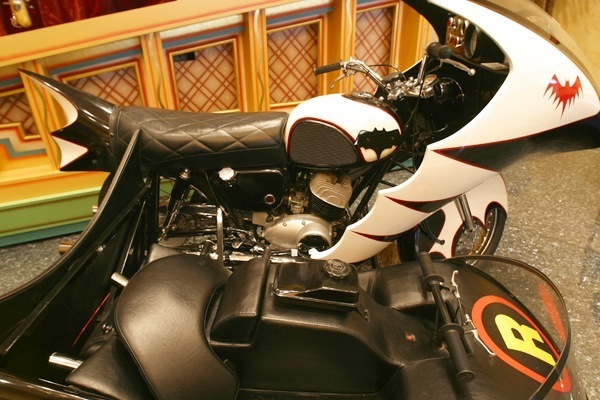 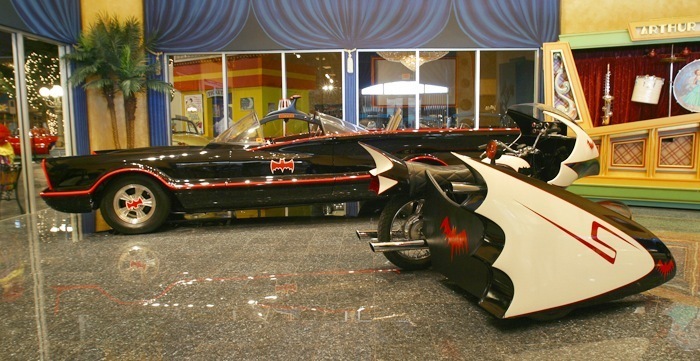 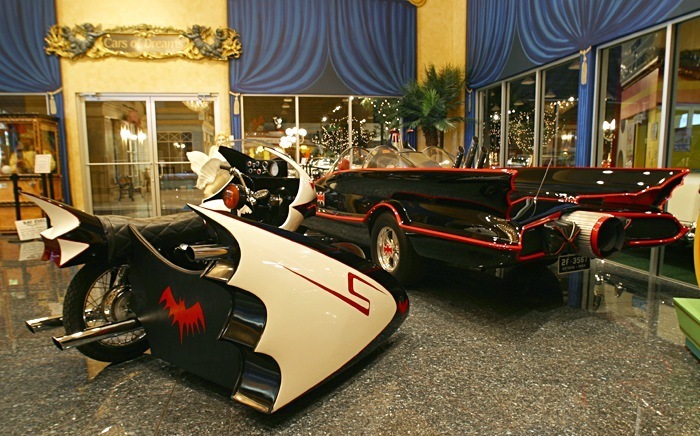 When the series was cancelled, Kustomotive used the Batcycle in car shows, paying royalties to Greenway, 20th Century Fox, and National Periodical Publications. 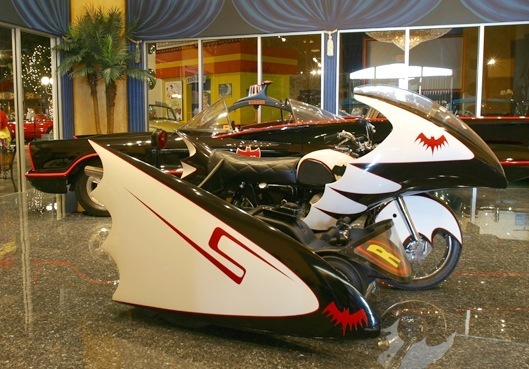 Kustomotive built four replicas of the Batcycle for tours.